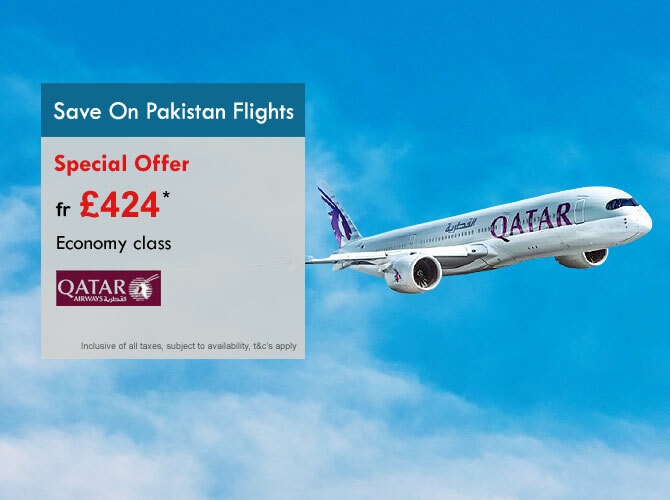 Book online 24/7 with option to pay later on selected Pakistan flights, exclusive deals on PIA, Oman Air, Turkish, Etihad, Emirates, Qatar and more..
the finest cuisines in the sky! PIA - Pakistan International Airlines fly direct to Islamabad, Lahore & Karachi from the United Kingdom - UK, the airline operates from Birmingham - BHX, Manchester - MAN and London Heathrow - LHR. Due to very high demands we recommend that you book well in advance of your preferred travel dates in order to get your cheap tickets to pakistan on PIA. For the lowest airfares we recommend you compare prices early in advance or call us for last minute bargain flight offers. Emirates Airlines is making connections to worldwide destinations efficient, it is among the worlds best airlines. Emirates connect in Dubai - DXB. With over 100 worldwide destinations daily, for travellers who prefer not to have a long stopover in Dubai, can take the next connecting flight to Pakistan in just 2 hours, emirates have recently added a new route for Sialkot for those who prefer a longer stay in Dubai can arrange this through their travel agent. "Save over 10% on all online bookings to Pakistan this season"
Etihad Airways the national carrier of the UAE offers budget airfares to Pakistan during the off peak seasons. it operates from Manchester International Airport - MAN, Heathrow, Dublin and Belfast and connects to over 100 destinations through its major hub in Abu Dhabi. 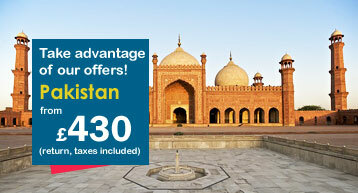 The airline offers very cheap flights to Pakistan and worldwide. 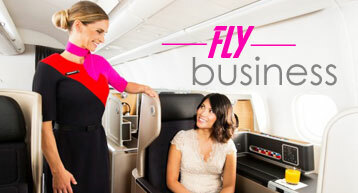 For the best prices book in advance of your travel dates and benefit from the extra savings. 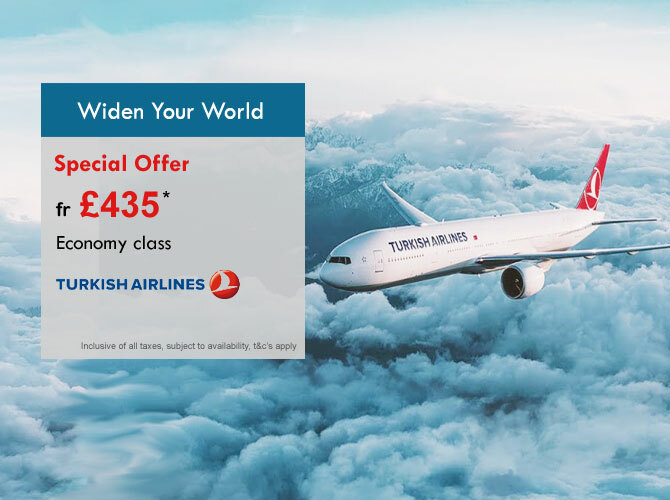 Turkish Airlines is the latest airline to announce cheap flights for Pakistan, the airline has been flying into Karachi since 2010, it has won numerous awards for the best airline of europe and is a member of the star alliance. Turkish airlines fly indirectly to Islamabad, Karachi & Lahore having a short stopover in Istanbuls ataturk airport. Book special fares today with an appointed agent for an exclusive discount package from Birmingham and Manchester. Book your tickets for pakistan with Mushtaq Travel your leading online travel agency with all prices at their lowest rates ever. Remember our flights for pakistan are most certainly exclusive giving you extra baggage allowances and flexibility when it comes to date changes, most of our flight tickets even budget style airfares will allow you the option to take more baggage than booking directly with the airline and offer 1 free of cost change, this applies to most of our contracts. Always check before you book to ensure your ticket has these added benefits normally at no extra charge depending on the airline, type of fare and travel dates. Book holidays in advance for the cheapest travel deals! 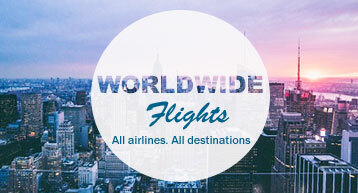 save by comparing prices and booking online if your going abroad you may need a valid visa & passport! it is advisable to take out travel insurance and check your baggage allowance and flight times prior to departures. It is mandatory for anyone visiting Pakistan to ensure they have a valid visa or a nicop card - NADRA which can be obtained from the Pakistani consulate, online appointments are now being allocated. Please ask us for further details about this service. You will find an abudance of historical and places of interest all over Pakistan, from the grand Faisal Mosque in Islamabad to the historical 17th century mughal era Badshai Mosque situated in the multicultural city of Lahore in the Punjab disctrict. 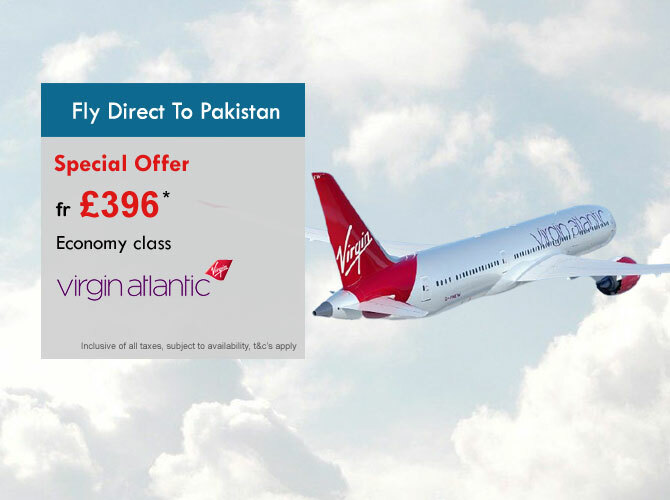 Birmingham airport situated in the west midlands offering easy access to several motorways allows passengers direct and indirect departures to Pakistan's capital city Islamabad with PIA offering direct and indirect flight options from Birmingham to Pakistan. Travel from Manchester airport, the route is probably the busiest for the north of the country, due to the airports prime location it has the 2nd highest number of Pakistani passengers with direct and indirect options from Manchester to Pakistan. Travel from Heathrow airport - one of the busiest airports in the world, it has no shortage of flights to Pakistan with a direct option on PIA to Islamabad, Lahore and Karachi and with several other major airlines operating throughout this route you are sure to find the best deals on your flight tickets to pakistan from london. Travel Alert - PIA commences schedule changes between Pakistan and the UK, ensure you have reconfirmed your tickets with your travel agency - New Islamabad Airport is now fully operational and all flights are operating to and from this airport - Effective 03MAY2018. 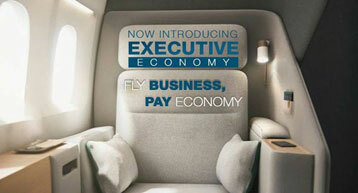 PIA Now offers economy executive classes with the perks of business class, enquire today for pricing and availability alternatively signup to our newsletter for exciting offers sent directly to your inbox as soon as they become available.